Let’s face it, mornings are hard, and going to work without a cup of tea or coffee is even harder. Sometimes though, there just isn’t enough time to fit in that one step in your morning routine. Or at least that’s what it seems like, but there is a way. All you need in your life is a good tumbler you can take with you on your way to work. It can be hard to distinguish which tumblers are good though, therefore, in this article, we will discuss how you can choose the best tumbler for your specific needs, and also give you a list of the top 7 best options you can find online in India. Hopefully, after you’re done reading this article, you would’ve found the perfect commute companion! There are three basic points you need to pay attention to in order to choose the perfect tumbler for yourself. We’ve talked about these points in detail in the following subsections, so make sure you go through them carefully. If you’re particular about how hot or cold your drinks are, then you need to look for tumblers that come with insulation. The level of insulation mostly depends on the material the tumbler is made of – metal tumblers with insulation work way better than plastic ones that can only maintain the temperature for a short while. Another important factor is the type of insulation the tumbler has; those with double-walled insulation or a vacuum chamber can maintain the original temperature of the drink for much longer. Additionally, if the material used for insulation is something like fibreglass, then it’ll help the tumbler perform even better. It’s no fun finding out that your tumbler is not leak-proof after it spills something, therefore, before you buy, you must check whether the tumbler is described as spill-proof. This is especially important for those who drive by themselves or take the metro, which makes it hard to pay attention to how you’re holding the tumbler. While you cannot test the product out usually, you can go through the comments section to make sure the product you’re interested in is not just leak-proof in its name, but it actually lives up to the claims and helps you avoid any potential accidents. One of the most important factors you need to consider is the size of the tumbler. If it is too small, then you can’t carry the amount you wish to take with you. Alternatively, if you only need a small amount, then having a huge tumbler is a waste of money because larger ones tend to be more expensive. 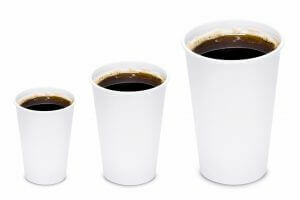 In general, a small/short coffee at a cafe is about 240 ml, tall/medium is about 350 ml and large/grande is about 470 ml. It’s finally time to reveal our picks for the top 7 best tumblers you can buy online in India. We hope this list will help you find the perfect one for yourself! 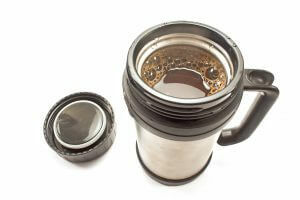 French press lovers who hate that travelling often means being away from their favourite drink will love this product! Aside from allowing you to make French press, it also keeps drinks warm for 4 hours, and cold for up to 8 hours. It is also quite large and sturdy, so if you’re going on a road trip, this would come in handy for then too. It is spill-proof if you manage to close it properly, but it seems many users have had trouble doing that, therefore, we would advise you to double check the lid while using this product. 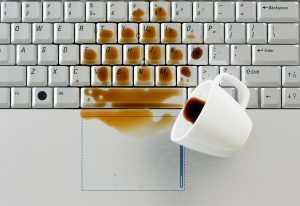 Considering the chances of a spill though, it isn’t the best product for those who’re not careful about how they close the lid and hold their tumbler. Those who’re looking for something slightly artsier will really like this tumbler. It lasts for over 2 years and is extremely lightweight, which makes it perfect for people who tend to hold their tumblers in their hands most of the time. It is recommended for those who don’t carry too much stuff and usually commute in a car. While it claims to be spill-proof, there is a big opening for the sipper, and there is no way to close it, so if you’re not holding the tumbler right, it’ll end up leaking anyway. Due to this, it cannot be used while travelling as you can’t simply throw it in your bad, and therefore considering that, it seems to be quite highly priced. 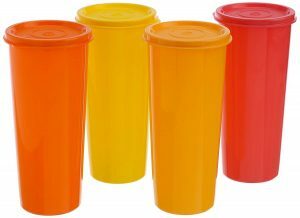 This set of 4 tumblers is great for those who want to buy in bulk, either for their family, friends, or even themselves. They’re also perfect as they let you colour code your drinks, so you can choose which beverage to carry in which cup. These are completely leak-proof and last for several years, so you can use them without any worries! They’re not insulated though, so if you’re really particular about keeping your drinks either hot or cold, then these aren’t for you. They’re also not the best choice if you’re using them for hot drinks as the outer body tends to get hot as well! Since they don’t offer insulation, nor are they too big, they may seem sort of expensive as well. If you’re looking for a large size tumbler that is completely leak-proof, no matter what angle it’s at, then you should go for this product. It is particularly great for those travelling by car, as it can easily fit into most cup holders. It keeps drinks warm for up to 6 hours, and cold for almost 10 hours, so it’s great for both summer and winter! It’s not the best option for those looking for a lightweight option though as it’s a pretty sturdy stainless steel tumbler, which makes it quite heavy. Therefore, while it’s good for those commuting by cars, it’s not the best for those who have to hold on to their tumbler for a long time. 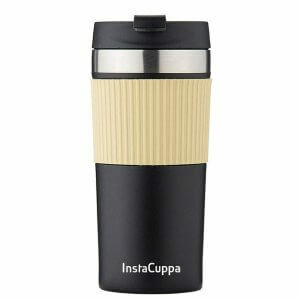 This tumbler is great for those who want something that is microwave safe, so they can reheat their drinks whenever they want. It is made of food grade plastic and is BPA free, so you need not worry about whether it’s safe for storing drinks for a few hours. 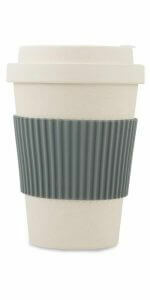 It is lightweight, sturdy, and perfect for those who want a medium sized tumbler. We recommend this tumbler for those who either want to reheat their drinks, or those who’re going to consume the drink more or less immediately, thus making insulation an unnecessary feature. It is also an extremely affordable product, so if you’re on a budget, and don’t want to invest too much, then this would be good for you. While using a tumbler itself is eco-friendly, you can take it a step further by using tumblers that are made of environment-friendly material as well. This tumbler is made of bamboo fibre, and despite its appearance, it is quite a sturdy and durable product. It is also dishwasher safe, so you can wash it and reuse it multiple times. 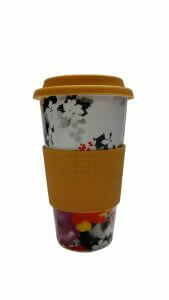 It is a medium sized tumbler, and due to the material, it is also amazingly lightweight. It comes with a screw on lid, which makes it easy to use, and it has a silicone stopper which makes it 100% leakproof. 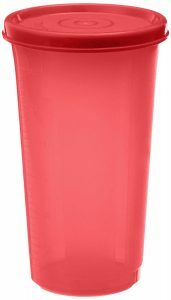 Therefore, it is highly recommended for those who need a tumbler that they can hold for a long time without feeling tired. 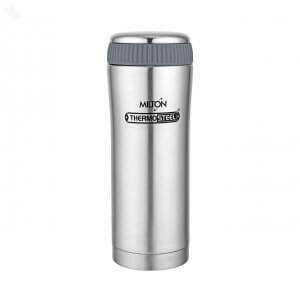 Large Stainless Steel Tumbler that is Affordable, Easy to Clean, Spill-Proof, and Insulated! The best tumbler on the market, this sturdy, stainless steel product keeps your drinks hot for over six hours and cold for up to 12 hours. It is also quite large, so it’s perfect for those who usually like to carry a larger quantity with them. 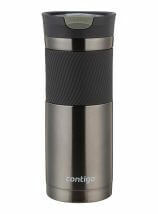 Despite being made of stainless steel, it is not as heavy as you’d expect and is quite comfortable to carry. Additionally, this tumbler is completely leak-proof, so you can easily toss it in your bag, and not worry about any spills. Since the mouth is quite wide as well, it makes it easy to clean, and it’s also one of the most affordable options available, so even if you’re not too keen on investing too much on a tumbler, you can still get this product. So, were you able to find the tumbler to suit your lifestyle? Having a tumbler can make your morning routine that much better, and also help you take a step towards keeping our planet greener. Keep in mind that what’s most important is knowing your budget and your needs. We hope this article could help you understand all the points you should look out for, and our list of recommendations helped you choose the best tumbler for your self!